October has arrived, which means it’s time for a contest! Halloween is fun time to dress up, for both humans and pets! Therefore, we are excited to announce our 2017 “Pets in Disguise” costume contest. Simply take a photo of your pet in their favorite costume and submit it in the entry form below. Everyone is welcomed– and there will be an amazing prize for the winner! QC Pet Studies will also be donating $1 to the Humane Society International for every entry received! Step 1: Take a before and after photo of your pet in costume. Step 2: Submit your entry before October 30th by filling out the form below. Step 3: On October 31st, we will announce the grand prize winner on QC Pet Studies’ Facebook Page! 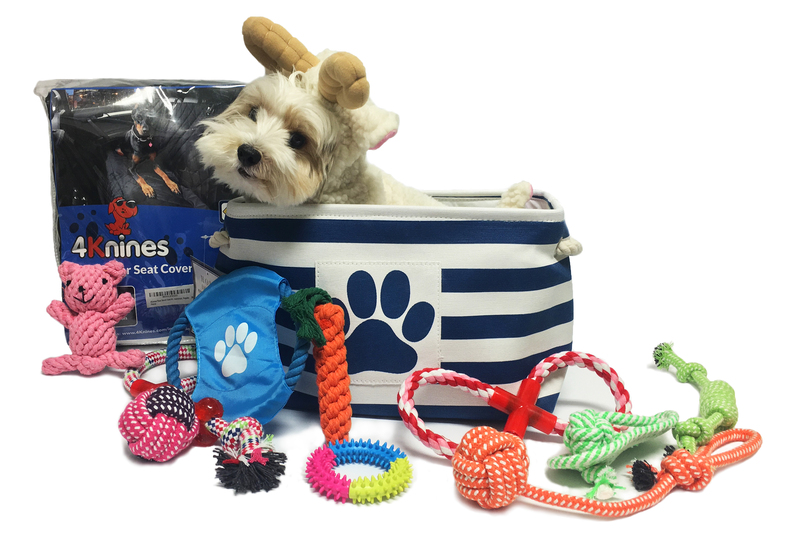 The winner of the “Pets in Disguise” photo contest will receive a 4Knines‘ “Rear Bench Back Seat Cover” (estimated retail value $100), a FONPOO’s “Multiple Choice Dog Toys” (estimated retail value $35), and a Bone Dry’s “Pet Toy and Accessory Rectangle Storage Basket” (estimated retail value $16). We’ve answered the most common ones below! You can also read through the contest rules for more information, or contact us if your questions still aren’t answered! Can I enter if I’m not a QC student? Yes you can! This contest is open to anyone who has a pet, whether you’re already a member of the QC Community or not! Can I enter more than one entry? Yes, you sure can! We’re excited to see all your creative costumes. Entries will close on October 30th. The winner will be announced on QC Pet Studies’ Facebook page on October 31st! We’ll contact you via email or by phone to arrange delivery of your prize. We’ll need to speak to you first, as we won’t send out any prizes before we can verify your address either by phone or email, so make sure you’re available to chat! I confirm that my contest submission is my own original work and that I have the rights to distribute it. I authorize QC Pet Studies to publish this work. I have read and understood the contest rules.